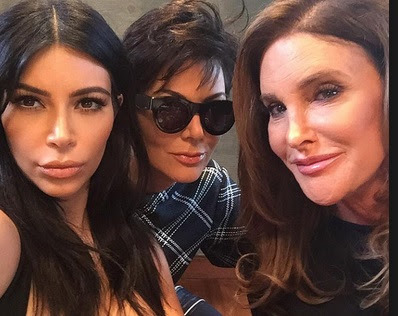 Kim Kardashian has made it clear she thinks the rift between her momager Kris Jenner and stepfather Caitlyn Jenner is irreparable. Kris, 61, was said to be furious about her ex's decision to tell all in her just published memoir The Secrets Of My Life in which she detailed her long battle with gender identity and spilled the beans on her intimate life with the mother of six. Kylie and Kendall are Kim's half-sisters who appear on the family's reality show Keeping Up With The Kardashians along with Kim and her sisters Kourtney and Khloe. And it's not just Kris and Caitlyn who aren't speaking. Kim, too, hasn't been in touch with her former stepdad.